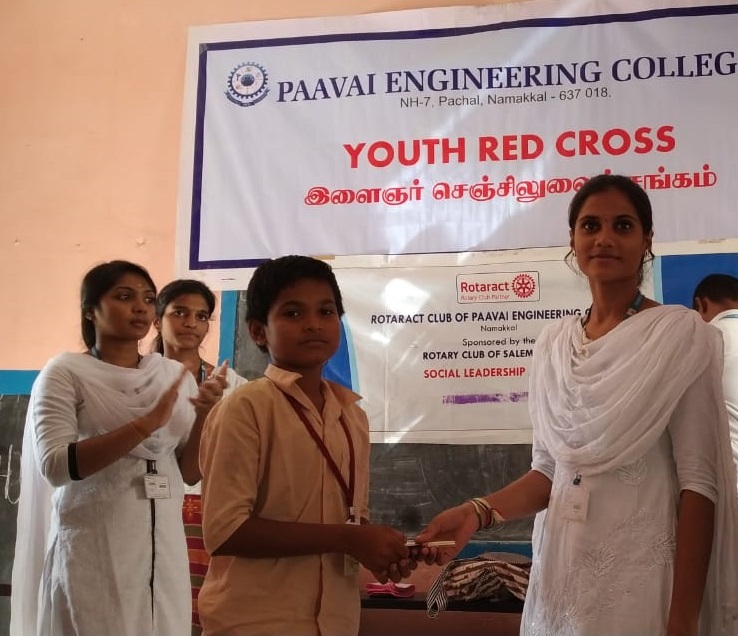 Paavai Engineering College, Rotaract Club and Youth Red Cross jointly organized a “Motivational Speech and Prize Distribution for Clean India Activity Competitions” for school student of Panchayat Union Middle School, Kannurpatti. 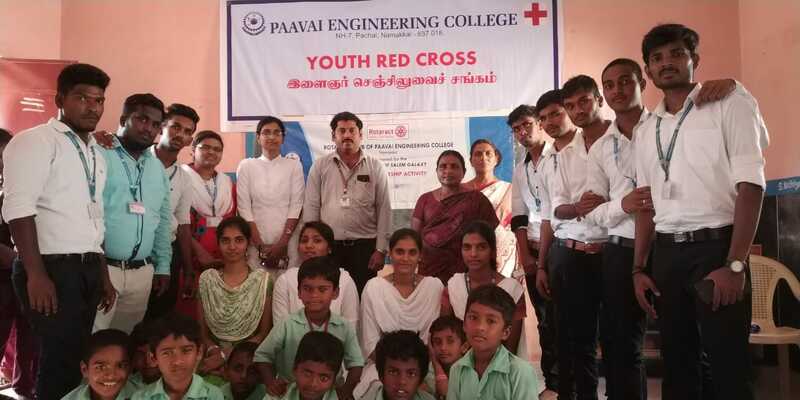 The rotaract volunteers of Paavai Engineering College gave awareness speech on Road Safety, Pollution, Health and Hygienic, Self Respect etc..to the school students. 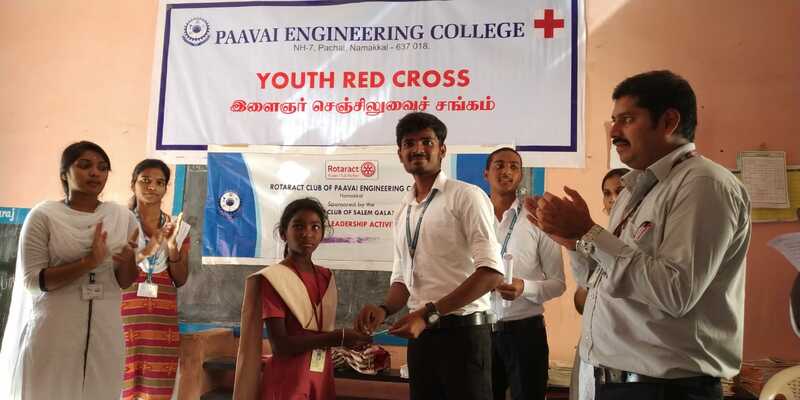 The Competitions conducted on Clean Indian by Tamil Essay Writing and Drawing. The prizes have been given deserving studnets. 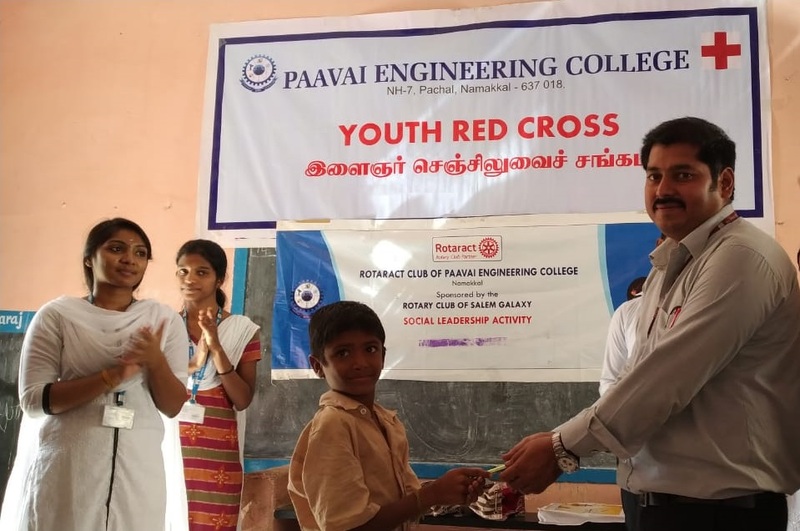 Mr.S.Saravanakumar, Coordinator, Rotaract Club and K.Vinoth (III – IT) president, inaugurated the function along with 15 volunteers, actively participated in the program.